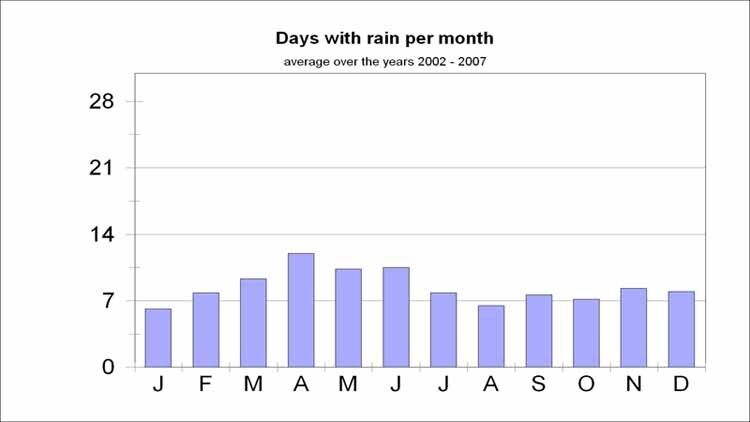 Average number of days with rain per month. 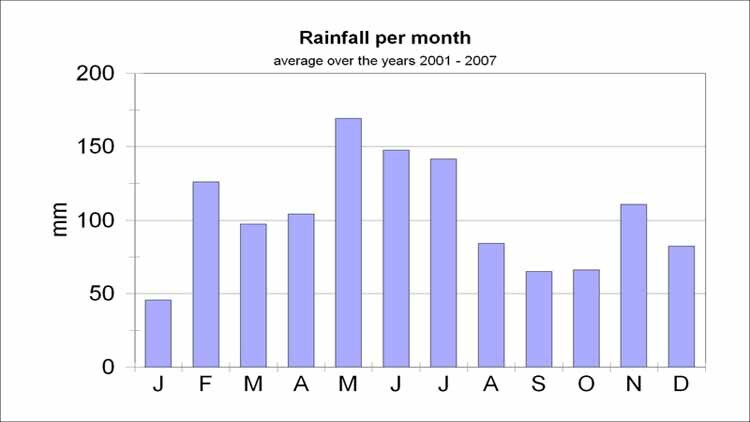 This includes days with only very light precipitation and rainfall "overnight". Observation periods are from 09:00 local time - 09:00 local the next morning. Daily max. 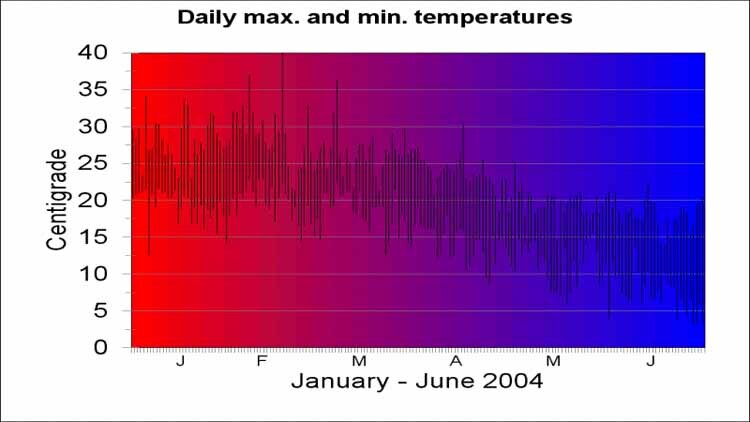 and minimum temperatures over the years 2003 and 2004. 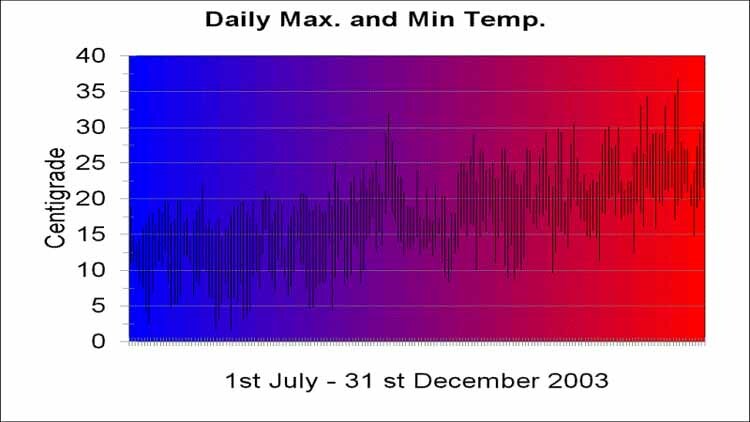 All graphs are based on observations at my weather station in One Mile Beach NSW. 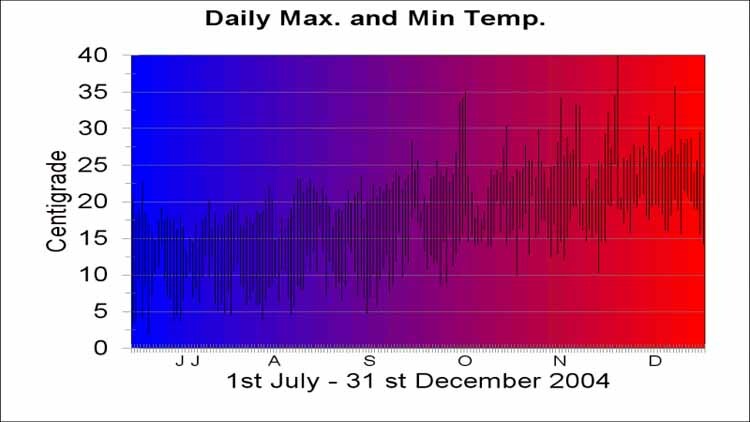 We have usually more moderate temperatures compared to locations like Sydney, Newcastle and the Hunter Valley. 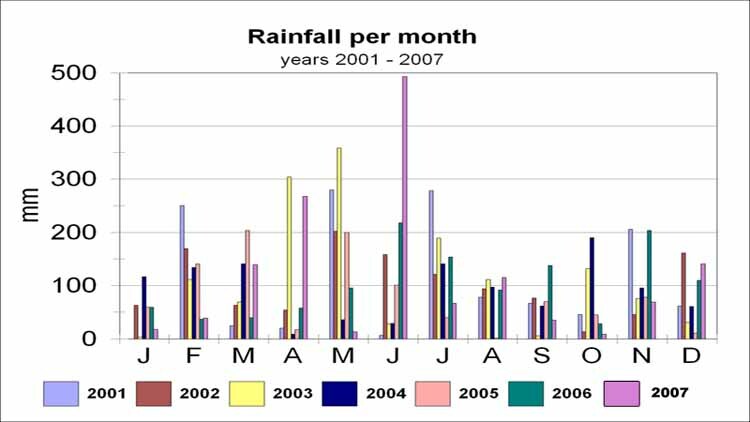 On the other hand we do not suffer from drought and have more rainfall than locations further inland.